In 2018, stress, depression and anxiety accounted for 44% of all health-related cases and 57% of all working days lost due to ill health. Thankfully, it's managers like you - the ones reading this post - who will help us defeat the stigma around workplace mental ill-health and improve our relationship and attitude to work. Mind then released data to show that for more than a third of employed adults, work is the biggest cause of stress. We know that like Romeo and Juliet, work and stress are a controversial pair, which - if left under poor management and harsh authorities - will likely end in tragedy. It's time to step up, take responsibility and change while we can. Undiagnosed workplace depression is a reported driver for low staff-retention rates, toxic morale, decreased productivity, increased absenteeism and presenteeism. Outside the office can prove just as gloomy. Depression damages inter-personal relationships by causing the patient to retreat, cut-off communication with family and loved ones, neglect hygiene as well as adopt unhealthy coping mechanisms. Stress, anxiety and depression in the workplace are often far harder to spot than a physical ailment. That's why we thought we'd lend a hand. Here's how to spot the signs of depression in the workplace. Depression can range from low mood and an overwhelming sense of hopelessness, which affects cognitive function and performance, to intrusive, negative thinking patterns and personality disorders that welcome suicidal thoughts. In its mildest form, from those who suffer, employers can expect to see a dip in concentration plus a struggle to stay focused, motivated and productive within the office. At its most severe, mental ill-health is life-threatening. Depression in the workplace can change an employee's behaviour, although, admittedly, the red flags may not be as noticeable - especially if you're lucky enough to not know what you're looking for. Severe and long-term anxiety is known to trigger our primal fight or flight mentality, leading to rash decisions, poor communication and further heightened stress levels. Instead of focusing on high-priority work, meetings and events, employees who suffer from depression may miss deadlines, mishear briefs and even seem less-dedicated to their job or the company. Something as standard as getting out of bed, showered, dressed and in to the office on time can feel monumentally difficult for someone who's in the depths of a depressive episode. What's worse, is that - chances are - they're reluctant to talk about it for fear of 'keeping up appearances'. Rather sadly, it is these exact types of behaviours that lead management to believe that they are unprofessional and lazy. For employers striving for team or departmental peak performance, the lines blur when judging if an employee is genuinely suffering from depression or simply ill-suited to the job they are paid to do. And because it’s an imbalance of chemicals and therefore hidden, many miss the signs and forget to walk a mile, or even a metre in their colleagues' shoes . dealing with difficult customers or situations. Here's the good news. We have the tools to help manage workplace depression and develop our staff with the company. Invest in the right support and erase the stigma of mental health. People who suffer from depression and anxiety are more than capable of not only holding down a successful full-time career, but also flourishing in the modern office. Practise authenticity, show vulnerability and create a safe atmosphere to encourage your team to open up and ask for help when they need it. According to Mind, almost a third of workers feel unable to talk to their managers about mental health. Here's the gap in market; let's replace a culture of fear and silence around mental health at work with clear guidance, empathetic talk and a supportive community. Here’s the good news: as a responsible employer and human being, there are plenty of ways to help manage and support the mental health of your employees. Just as you have a dedicated first aider in your business it’s a great idea to have staff who are trained in spotting the signs of depression. Mental Health First Aid (England), launched by the Department for Health in 2007 with the aim of improving national awareness of mental health, has extensive experience in delivering mental health first aid courses. 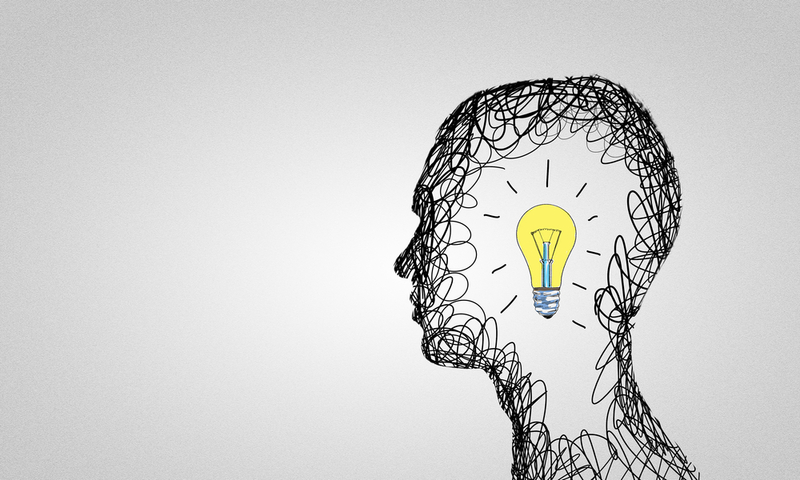 According to MHFA, mental health training should be part of a business’ overall first aid training programme and positive promotion of mental health must start at the top. If you have leaders and managers who support mental health, then you will be able to create and nurture a positive position around the issue. Developing a mental health toolkit will help your organisation action simple measures to deal with depression and mental health. It focuses around straight-forward direction and guidance, accompanied with easy signposting to the right services. Business in the Community (in partnership with Public Health England) published a mental health toolkit as a guide for your organisation. It’s a very easy-to-follow step-by-step guide to ensure you can create an effective and supportive mental health programme for your business. Partnering with workplace-specific mental health organisations and charities like Time to Change is one of the first steps you can make to challenge the stigma around employee depression. 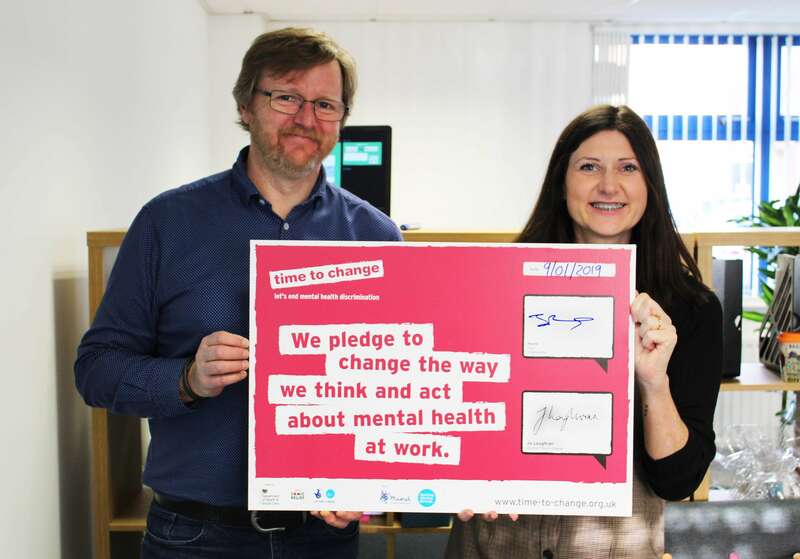 This Mind-backed charity encourages employers, apprenticeships and businesses to sign up to the Time to Change Employer Pledge. Similar to our Breathe Company Culture Pledge, it authorises the company commitment through 'a contract of sorts', which - in turn - helps gain trust and respect from your people. As well as acknowledging and interacting with the elephant in the room, professional mental health organisations provide tools and tips to guide employees through recovery and back to health. Over 900 UK employers are now committed to Time to Change and doing their bit to improve employee health and wellbeing. Join them here. Talk therapy is a remedy for a reason. One of the most important steps you can take as an employer is to communicate with your staff at all levels, as people. Promote positive discussion around mental health and depression and let them know that it's okay to be not okay. Focus on the person not the problem and remember that we all react, behave and experience situations in different ways. It’s not always obvious. Practice resilience and become it’s loudest advocate, share tips, stories of failures and success but remember to respect their confidentiality. Create a personal action plan and let your workplace mental health guardians support staff who may be struggling.